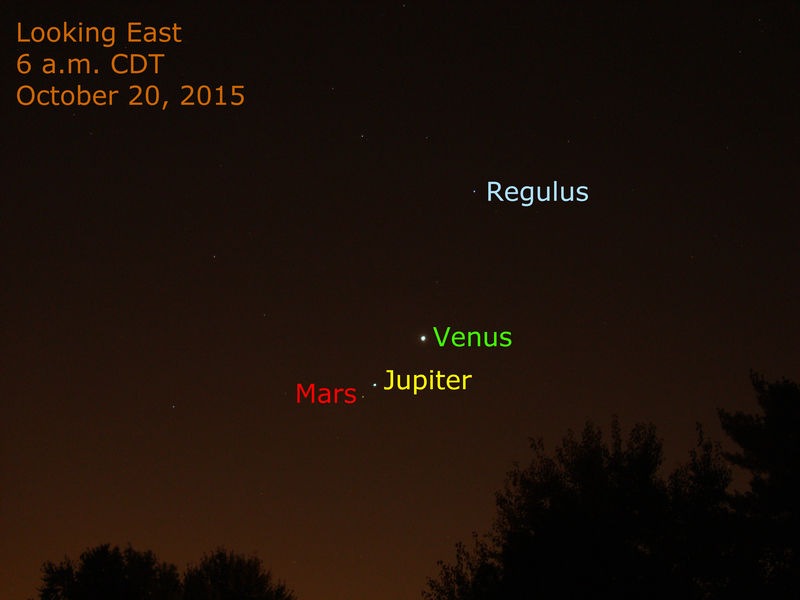 Brilliant Venus shines from the eastern sky this morning as seen from the Chicago area. This brilliant Morning Star is joined by Jupiter, 4.5 degrees to its lower left, and Mars, 1.5 degrees to the lower left of Jupiter. All the planets are moving eastward compared to the starry background. While they rise in the east and set in the west, they are moving eastward in their solar paths. Venus passes Jupiter on October 25 and Mars on November 3.